Who are we Bosnians of the Muslim faith and what do we want in our homeland, Bosnia and Herzegovina, in a region to which we are connected by heritage and historical background, and Europe in which we belong geo-politically and culturally? When the identity of a people is in question as well as those characteristics which define its identity, there are two phenomena that are different in kind. There are the phenomena that create the substantive foundations and overall conditions for the individuals’ existence within a people and their singular characteristics, that is, their historical uniqueness. These phenomena represent the basis for the members functioning as a people with a unique heritage and history. What determines the historical realities of the existence of a people has in many ways the same manifestations in the historical realities of other people. All peoples and their historical characteristics have much in common in their way of life, folkways, and manners of recounting their existence in history, because they all are a part of world history and humanity itself. This is the reason why people no matter where or how they live exhibit common characteristics and are part of the entity we call humanity. We speak of humanity’s immanence as humanity’s history within the world. Despite the common features that connect all peoples in the broad history of humanity, there are also phenomena and expressions of existence by which we are able to distinguish differences among nations. These differences constitute what is specific in defining a people as such, as embodying their historical essence, that is, their existence as a unique history involving people, culture, civilization, and religious faith. The basic principle of this genus differentia definition, coming from Aristotle, is that with the definition of any entity first you have to establish the general matter based on which it is possible to decide similarities out of which differences can be found in specific ways of representation for those entities. You have to find what makes the specific entity particular and specific in comparison to other historical entities. The principle is that you have to establish genus proximus, the closest sibling of some subject of definition, and then differentia specifica, the particular difference of the specific entity in regards to other entities of the same kind. When we speak of historical entities, such as states and their peoples, differences are visible and can be noticed in the various connections between people, culture, and civilized models of existence. When relations between two or more people become more and more intensive, they, in fact, seek to sustain specific identities from eventual loss by using a system of preserving and developing differences. They obtain the possibility of comparison of various features with the aim of identifying the similarities and differences between the entities that we compare. When we speak of nations, this is particularly important for those nations whose numbers are not so great. Because of its small size, a people is more likely to be exposed to aggression and assimilation by other people, carried out through the destroying of their rights, identities, or strengths in relation to those who are making the assimilation. The actions that lead to assimilation do not have to be only political and military; they can also be economic, cultural, religious, and spiritual in a general way, as was the case with Bosnia. Bosnia was exposed for centuries to high levels of aggression of all types from its neighboring Catholic and Orthodox countries and recently to the questioning by some European countries of Bosnia’s wholeness as a constitutional state. Some types of aggression perhaps seemed justified by the existence of differences that are dangerous to the aggressor’s side or for the general order of the world or religion. The reason for aggression toward Bosnia in our earlier history was the existence of the Bosnian Church in medieval times. Afterwards, the reason was the existence of the Ottoman Empire, which contained Bosnia. 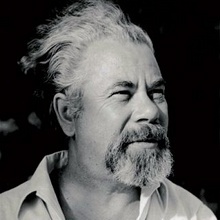 An additional reason was our inherent longing for independence, but this could just as well have been the thinking that would lead to Bosnia’s being labeled as dangerous, heretical, and pagan, a place for those who destroy the general condition of life and endanger broader interests, although such a characterization was neither clarified nor the general charge verified and justified as legitimate. Ironically, the community’s commitment to religious tolerance was the typical reason for aggression against Bosnia, and for those who promoted the need for spiritual unity with Europe, the Balkans, and our own country. In the face of hostile actions, whether they were demands, threats, or deeds, Bosnian leaders from Kulin Ban (on Bilino Field) to King Tvrtko (King Tvrtko’s letter to the Pope) opposed orders to eliminate and forbid the religious practices of other churches, as was demanded by the Catholic Church in Rome and surrounding Catholic leaders. Every Bosnian leader (exempting the last two unlucky ones at the end of Bosnian independence before Bosnia’s fall to the Ottoman Empire) sought to demonstrate that within their kingdom there are no heretics and that all the religious beliefs in the kingdom were sanctioned as well within Christian religion. The identity of a people therefore consists of not just similarities but also differences among those who live together on the same territory; similarities themselves have no meaning and credibility outside of the differences between them. It is not difficult to establish the identity of the French in comparison to the Greeks or Bosnians. However, it is difficult to establish the identity of those who share so many of the same historical conditions and similarities, such as heritage, language, history, territory, ways of life, food, traditions, and so on. Ultimately, it is relatively small things that separate people–– such as the specific faith practices within our own country and, more recently, imported political ideas. Political ties with the people and countries outside our own country and our own history have encouraged the incorporation of these people into the system of government and constitution of other countries, creating strangers out of these people within their own country. In cases such as Bosnia, identities do not stem from differences alone but are based as well on what is common, such as acceptance of the normative character of differences between people in every area of life, including religion. Acceptance, especially, overcomes differences and enables people to co-exist as part of one harmonious political, social, spiritual and cultural entirety. In order to verify precisely everything that connects us and divides us and in order to verify the criteria for identification, it is necessary to have anthropological, historicalgeographical, cultural-historic, spiritual-historical, statistical, demographic, socio-cultural socio-physiological, historical, and political research of these phenomena. Much research along these lines has already been done. Research was carried out regarding the isolated and older enclaves within the population that show that among people of different religions there existed intensive relations and communications of all kinds of value (for instance, in Lepenica, Drežnica, Zijamet and similar locations). There has been research regarding mixed marriages as well as the life of people of different religions in the same villages. There has been research on marital practices and the development of affinal relations (William Lockwood). The social exchange between villages inhabited by different people and the volume and content of their communication in everyday life in markets or other social contexts where they are connected has been studied (Milenko Filipović and Nedžad Hadžidedić). The common elements in building a house, furniture, preparing food, and general values in a community’s way of life have been analyzed (Muhamed Kadić). Unfortunately, there has not been enough research along these lines, and the studies that do exist have been neither systematic nor long-term. They, instead, have been focused on our subject in narrow ways, the result being that truly useful, reliable and comparable results have not been obtained. The difficulty, however, is not only that in the last one hundred years there have been few materials that deal with our subject, but also that in the majority of the cases the attempts were narrow and limited in a conceptual and methodological sense. They were neither formulated nor executed in such a way as to be able to establish in a valid and clear way what was specific to our national and historical identity. They were not able thereby to point out what it is that divides our nationality from the identities of other people in this area with whom we live together in terms of not only the substance but also the function of similar histories. The greatest number of such attempts sought instead to establish that the Bosnians of the Muslim faith were people of the same category, historical heritage, and social identity as Bosnian Serbs and Croats. While, of course, many such facts are correct in a general way, there are important but insufficiently explained characteristics of the historical identity of Bosnians of the Muslim faith. During specific periods of our history, there were similarities and differences in regard to the level of development and differentiation within our own national identity, as well as in relation to our neighbor Bosnians of the Catholic or Orthodox faith, some of whom became and are now national Serbs and Croats… . The historic identity of Bosnian Muslims is distinct from the common identity of today’s national Serbs and Croats. In the case of Bosnian Muslims, their identity did not develop in the same way, and it does not have the same content and meaning with those Bosnians who during the 19th century would (based on the tenets of their religion) identify themselves as Serbs or Croats. Errors occur when the same model and procedures, the same historical types are applied to all people and society of the same time. Time does not develop everywhere in the same manner, in the same pace, and in the same forms to express its effects. History, in other words, does not run at the same pace for the all people. Identity is a historical value and a phenomenon that expresses the historical existence of particular human groups, and because of that it is possible through time to develop in different ways within parallel entities. 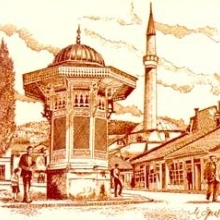 Since every historical entity lives in a historical context and changes with the historical conditions of life, Bosnians remained connected to Bosnia as a country and a state. The idea of this state and the yearning for it has been preserved. Given Bosnia’s historical development and formation, people did not enter into and could not enter into new movements, such as the idea for an entirely new state on its territory with particularistic spiritual or materialistic powers of connection. Instead, their historical development and formation remained under the influence of constantly present traditional factors of identification and the retention of their initial identity—they remained Bosnians [Bošnjani] or Bosniaks [Bošnjaci] in relation to their state and country. Bosnians of the Catholic and Orthodox religion who did not choose their own country and state of Bosnia as the base of their national identification, but they chose, as a basis for that, their own religious belonging. Their national state was not Bosnia anymore, but Serbia or Croatia. In that way, those who identified themselves with Serbia or Croatia as their state and national identity, became national Serbs or Croats, and their previous identity as Bosnians was abandoned in history, overcome as a non-useful historical costume. Identification with Serbia or Croatia as the mother states, however, does not bring with it anything significant to strengthening the historical role and sense of collective action of Serbs or Croats within Bosnia and Herzegovina, except a collective action aimed at destroying the essence of Bosnia and Herzegovina. All such actions in the past failed until recently and even then their only success was the awful destruction and ending of many human lives… . It is important to realize that … the time of idealizing a nationalistic aims and statehood is passing away, and the world as a whole, and particularly its more developed parts, are rapidly approaching forms of relations and life that surpass nationalistic constitutions and state identifications. Due mainly to a lack of or insufficient care toward what is common to all of us, it was never demonstrated who, when, how, where, and with what historical goals or other types of motives, whether justified or unjustified and under whatever influences, separated our basic commonality. Each effort to define us, from the early ones to recent ones starting after 1993, when every prohibition was taken off, except the inner limitations that each of us carries in searching the subject of our own identity and identities as such by their own action discover and define themselves, represents a mistake in a very important sense. None of these efforts discovers what is important for our identity and what defines its truth. 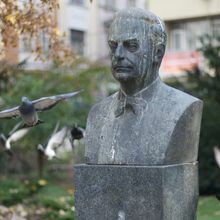 The historical truth about our Bosnian identity consists of the fact that we did not develop our national identity according to the standards arising in the modern period of European history, specifically not according to the standards of the nationalism that emerged in the Balkans during the 19th and early 20th centuries, which expressed itself in creating nation-states with an aggressive and genocidal charge, that is, nationalistic states were founded on the idea of the complete political, legal, and biological elimination of all those who did not belong to a nation forged on principles of strict religious and ethnic separation. National identities that that were created on the ruins and ambitions of destroying the Ottoman Empire and its progeny in the Balkans manifestly expressed themselves as marauding attempts at plundering and consuming what was left of the sleeping and soon to be dead Lion on the Bosphorus. That kind of reasoning did not influence Bosnians of the Muslim religion, even though historically they themselves had been strongly opposed to the Ottoman Empire in their own country. Our integration into European history started instead with the occupation of Bosnia by the Austro-Hungarian Empire, which brought many changes in many aspects of our lives. The occupation, however, did not create a change in the character of our identity because the very vehicle of European emancipation was not the idea of nation-state but instead the model of a well-organized multinational country, the Austro-Hungarian Empire. Due to this fact, our historical identity could continue as what it was, and it remained such because it was based on a multilateral foundation as well as on the heritage of our earlier life. Our identity was not divided by a line of separating and establishing historical goals according to separate national goals in opposition to other opposing identities, as was the case with some of the Catholic and Orthodox populations in Bosnia. In their struggle against the Austria-Hungarian occupation, Bosnians of the Muslim faith demanded respect for their historical, spiritual, cultural, and religious identity. They did not want to replace one foreign state with another, considering both Serbia and Croatia as foreign countries; countries where people related to them lived, but countries whose historical paths and foundations had been profoundly different from those of Bosnia, and, accordingly, foreign. Our identity was not developed as a political-national identity that would be defined with its own separate state goals against the other peoples with whom we lived. While Serbs and Croats, who became national subjects in Bosnia during the second half of 19th century, had as their main goal political action toward an integration with their supposed home countries, with which they never had any substantial state- or spiritual-cultural connection, except through being forced to defend their land from frequent military actions from those countries aimed at destroying Bosnia and its original ways of existence. The Bosnians of the Muslim religion, however, remained committed to the idea of mutuality and interdependence in the state of Bosnia and to the model of a life shaped through centuries-long practice of common existence in our country. That mutual life developed forms of mutual relations in which everyone could live their inner identity, first of all, their customs and religion, as well as those that connected people who live and work together, communicating, cooperating, and sharing the same basic values of the civilization and culture and circumstance of their historical lives.